An imagination capturing urban vibe, created with planes of natural wood, metal, glass, and drought tolerant plantings, along with plenty of sweat and creativity has emerged as an important characteristic of the President’s Award recipient this year, 614 Chapala Street. It’s a millennial nuance originating at Sonos, the company that creates smart HiFi wireless speakers and audio component systems, uniting our digital music collections, all under the control of a smart phone app. As Sonos is changing the landscape of the way people listen to music, they’re also re-visioning the way Santa Barbarans work by contributing to the relationship we have to our environment. Sonos makes its presence known, in part, with its work culture philosophy. At its core, the team works to shift expectations and redefine realities, thus a hi-tech giant locates its headquarters in Santa Barbara, occupying a series of commercial retail warehouses at the center of downtown, rather than Silicon Valley. The company, founded in 2002 by John MacFarlane, Craig Shelburne, and Thomas Cullen, is based in Santa Barbara. 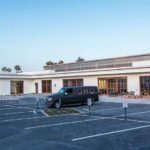 It is growing fast, its physical footprint includes over 100,000 square feet of space in Santa Barbara, as well as offices in Massachusetts; the Netherlands; China; and Malaysia. Locally, they’ve selected buildings that are within walking distance to shops and restaurants. Then they give their employees incentives to bike to work. The goal is to create an urban campus that reflects the brand’s worldview and to positively influence downtown. 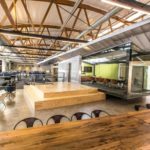 Top of the list last year, Shubin + Donaldson Architects finished construction on one of the four warehouse spaces, the 22,000 square-foot building located at 614 Chapala Street (formerly occupied by Samy’s Camera and once a car dealership). 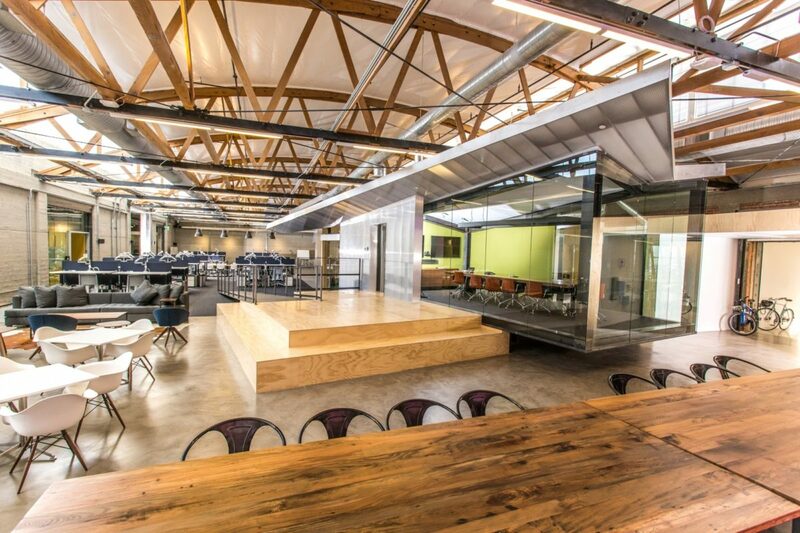 This space is Sonos’ headquarters, housing executive management, marketing, human resources, finance, IT, and software development teams. To amplify creativity, communication, and teamwork, Shubin + Donaldson implemented an open floor plan with maximum natural lighting. Exterior patios take advantage of the Southern California indoor/outdoor lifestyle and create impromptu meeting spaces. Programmatic elements include club lounges, enclosed collaboration spaces, flex desking, experience rooms, and play areas. Other Sonos buildings include a 28,000 square-foot space at 419 State Street and a 47,000 square-foot building at 25 East Mason Street. Sonos has found its feet locally and is contributing to Santa Barbara’s vibrant community in various ways, including employing more than 400 people in downtown Santa Barbara. While its visual and economic footprint is big and beautiful, Sonos’ programs support reducing their carbon footprint. Understanding that the Santa Barbara lifestyle is about relationship with the natural world as well as fun in the sun, Sonos encourages its employees to commute via bicycle, and even pays its employees to buy new bikes and gear via its Earn-a-Bike Program. Already Sonos’ successes are being lauded by organizations like Traffic Solutions and CycleMAYnia.